[Birmingham, AL] – March 2, 2015 – Registration is now open for the 12th Annual McDonald’s® Red Shoe Run benefiting Birmingham’s Ronald McDonald House. Runners will lace up on Saturday, January 23, 2016 and head to the starting line at Soho Square in Homewood. The race provides everyone an opportunity to clown around for a good cause. Now in its twelfth year, the Red Shoe Run has grown to attract a broader running audience and offers fun for everyone. Presented by McDonald’s® and produced by Candence 180 Consulting, the race is expected to draw about 1,200 participants, and three race distances are offered: 10 Mile, a 5K and a 1 Mile Fun Run all starting at Soho Square winding through Homewood, AL. Start your training and fundraising for the Ronald McDonald House early by signing up today. It’s the perfect time to get your family, friends and co-workers committed to join your team and help families who need a home away from home so they can focus on what’s important-their child. Thank you to everyone who completed the post-race survey from 2015, there are several new things coming in 2016 to make the Red Shoe Run even better. The new start times will make everyone happy. Check out the event website for more details. The post-race party and awards will be held inside Rosewood Hall with snacks and a Kids Zone with moon bounces, clowns, face painters, and music to enjoy. The 10 Mile event is USA Track and Field certified and sanctioned by the Road Runners Club of America. 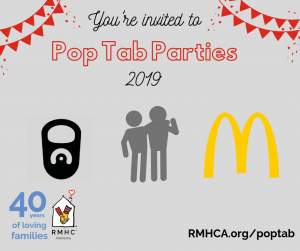 Proceeds will benefit the Ronald McDonald House Charities of Alabama, Birmingham’s only affordable provider of temporary housing services focused on serving sick or injured children and their families who must travel to Birmingham for medical care. For 35 years, Ronald McDonald House Charities of Alabama (RMHCA) has provided a safe, affordable, supportive home away from home for sick or injured children and their families when they travel to Birmingham for medical treatment. In 2013, 998 families were served from 67 Alabama counties, 20 other states, and 1 other country, Canada. The Ronald McDonald Family Room at DCH Regional Medical Center in Tuscaloosa serves both the Pediatrics and Neonatal Intensive Care Unit, and provides a place for parents and siblings of hospitalized children to go put their feet up, watch television, plug in to work on the computer, wash clothing, and play, all while remaining footsteps from the bedside of their child.